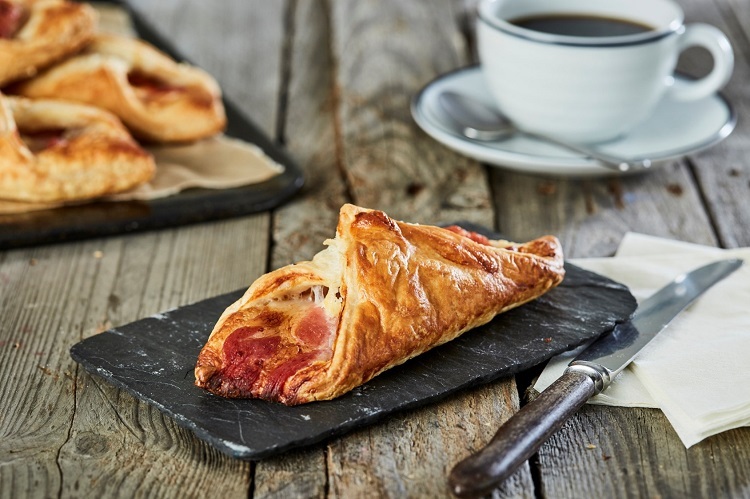 Leading foodservice brand Country Range is making it easier for caterers to offer their customers a tasty handheld snack for breakfast, brunch or on-the-go with the addition to its pastry portfolio of a Bacon & Cheese Turnover. Made using premium quality thick cut bacon and mature Cheddar cheese, it’s wrapped in a light puff pastry and can be cooked from frozen in just under 30 minutes. The new product comes in cases of 40x140g and is available exclusively through the Country Range Group’s network of 12 independent wholesalers. 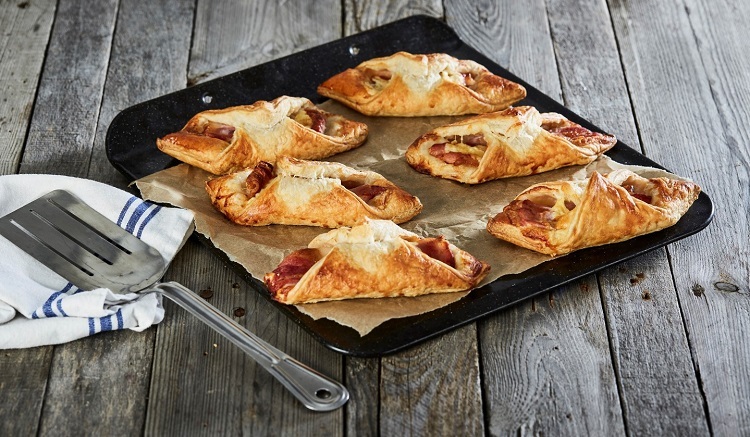 Country Range Bacon & Cheese Turnover (140g) – A delicate buttery puff pastry oozing with a gooey mature Cheddar cheese and bacon filling. Ideal for caterers looking to offer their customers a quick and tasty handheld snack.